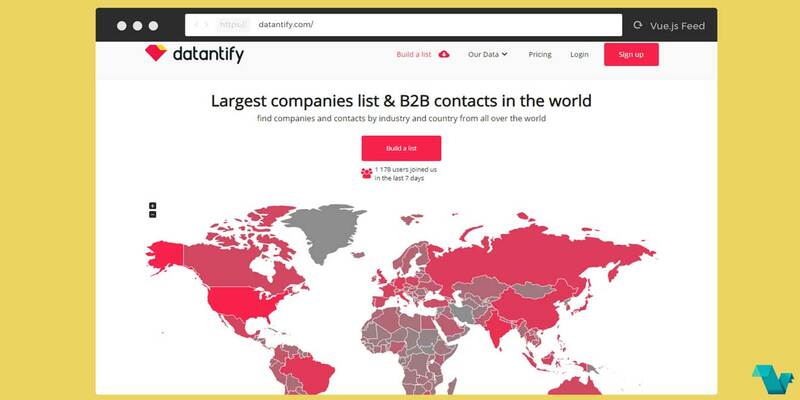 With Datantify (https://datantify.com/), you don’t have to buy the entire data from the multiple bases to reach the needed information. This advanced solution is offering a possibility of generating the most important data of companies which you are interested in without any problem thanks to its special custom filters. The service can provide B2B databases from many types of industries and from countries all around the world. 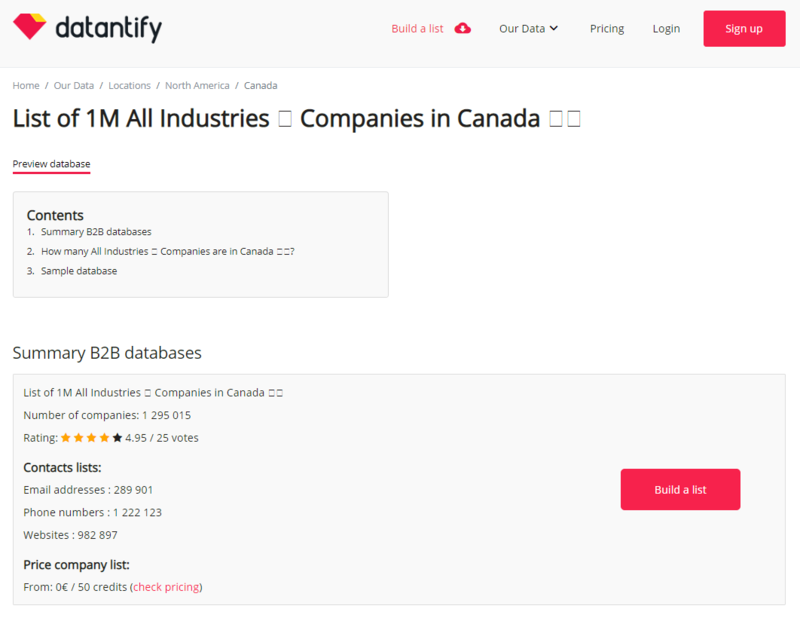 Filter companies by location, industries, alphabetically and start building your list. To collect contact data that fulfill your needs you will need credits which you can spend to gain access to the data. There is a free plan available and a 30-day money back guarantee for paid plans which start from 1000 credits/month.